He was instantly recognisable and as intimidating to behold as he was to fight. If you could ignore the flashing fists of Ted Kid Lewis for a few precious seconds, there was little comfort to be gained from contemplating his fearsome countenance. The large baleful eyes in the large jutting head were set into a wholly individual face that seemed permanently chunky and swollen. Lewis was known as the Aldgate Sphinx after the tough area of London from which he hailed and the quite terrifyingly impassive expression he carried into battle. Like the eyes of the shark, those menacing peepers of Ted’s were emotionally dead yet vibrantly alive in their scope and intelligence. Now, as I watched the film avidly, he was hunting down the clever Johnny Basham at the Royal Albert Hall in the early winter of 1920, never once betraying his frustration at failing to trap his elusive prey. Quick and skilful, full of artful feints and shifts, Basham had fashioned a handy points lead after eighteen rounds, but The Kid kept shadowing him with the patience of a wily tiger that knows the best meals can take a long time coming. Lewis was eternally fascinating to watch as he stalked the ring with his hands often held almost at his sides. I am always amused when today’s young prospects are castigated for holding their hands low, as if this is something new. For years, this was the vogue, the only difference being that the past masters were taught more thoroughly how to feint, slip and block punches. Ted Kid Lewis was no defensive genius, let us be clear on that. But like Dempsey, Armstrong, Duran and numerous other fighters loosely referred to as ‘sluggers’, The Kid was more than proficient at protecting himself. Ted’s left glove would often rest on his thigh as he pursued Basham, a deceptively dangerous weapon in its apparent slumber. His right hand would be held only a tad higher, cranked comfortably into its firing position, half cocked but never telegraphing the volley of vicious hooks that would spearhead the next attack. Lewis would explode with lightning quickness when he spotted his chance. He would vary his attack, sometimes using a stiff jab to open the door, sometimes using it as a range finder for the heavier artillery. Very often, he would simply spring like a cat at Basham, firing the big blows in quick succession. There never seemed a moment when Ted was idle in the ring, even when he was having to make the most of a bad job. Basham was a shrewd mechanic, a thinking man who used the ring beautifully, and it was essential for Lewis to make the most of the rare chances that came his way. The Kid was a demon in the clinches, working all the time, ripping punches to Basham’s body to slow him down and tire him out. Clever Johnny was so close to home when the violent end came in the nineteenth round. Having skilfully danced and manoeuvred his way around the tornado all night long, he was suddenly sucked into its eye and sent tumbling by a ferocious two-fisted combination that culminated in a big left hook to the jaw. Clearly dazed, Basham was up at nine but now had nowhere to hide and no more cards to play. Trapped near the ropes, he was caught by a fusillade of punches and was trying desperately to escape when The Kid’s final left hook swept him into oblivion. How good was Ted Kid Lewis? We will flesh out some of his fabulous achievements, but the naked details alone are impressive enough, so much so that even the most dedicated historians live in fear of leaving out an important event or a vital statistic when listing them. To The Kid’s 301 recorded professional fights, we must first attach the important addendum, ‘against all odds’. For most of his career, Ted was conceding significant poundage to a great many of his opponents and also going into their back yards to do so. Aside from his native Britain, he fought in America, Australia, Canada, South Africa, France, Italy and Germany. In one incredible sprint, he fought six times in seven nights in different cities. His all-action, courageous style made him a popular favourite of American fight fans, but the referees and judges were often far less charitable. We despair of chicanery in boxing now, but in The Kid’s era it was nigh impossible to keep track of the dupes and injustices. In the muddled era of the no-decision, he lost newspaper verdicts that defied belief. He wasn’t even safe in his heartland of England, where he was knocked out by Georges Carpentier while the referee was touching Ted’s arm and admonishing him for an earlier infraction. Lewis was conceding 25lbs to Carpentier that night and was giving the French ace a rare old thrashing when Britain’s habit of being nice to visitors reached ridiculous proportions. During his exciting sojourn in America, Lewis proved to be the scourge of the two great aces from Minnesota: Mike Gibbons, the St Paul Phantom, and Mike O’Dowd, the St Paul Cyclone. Both boys were wonderful fighters and very different in style. The handsome Gibbons, brother of light-heavyweight Tommy, was a masterful boxer whom former Ring editor Nat Fleischer grouped with Sam Langford and Packey McFarland as the greatest trio of fighters never to win an official world title. O’Dowd was rough, tough, hugely knowledgeable, and enjoyed a long reign as middleweight champion just before the coming of Harry Greb. Mike actually met the still maturing Greb in 1917 and is credited with getting the better of the Pittsburgh Windmill in their fiery ten rounder. Ted Kid Lewis proved himself more than the equal of O’Dowd and Gibbons. Ted weighed 139lbs when he stormed through Gibbons in their 1916 match at Madison Square Garden for Mike’s middleweight title claim. The Kid won handily in the eyes of just about everyone except the New York Times, which reported an easy win for Mike. Make of that what you will. Lewis fought five no-decision bouts with O’Dowd, edging their first meeting according to the Ring encyclopaedia, but losing four newspaper verdicts. Alas, like so many other clashes of ring giants from that era, we will never know the true story. For all of his fateful misfortunes, Lewis scooped nine official championships in his long and illustrious career, starting out as a featherweight and working his way through the divisions. At one point in his career, despite rarely hitting the scales at more than 140lbs, he held the British welterweight, middleweight and light-heavyweight titles simultaneously. However, it was in his natural element of the welterweight division that The Kid made his name as one of the greatest of world champions, as he became locked in an epic twenty-fight rivalry with the man known as the Boxing Marvel: the brilliant New Yorker, Jack Britton. Ted Kid Lewis genuinely loved to fight. In his case, the reason for being was that simple. Yes, he loved the money too. Name me one fighter who didn’t. It is estimated that Ted earned around £500,000 in his boxing career, which sounds almost quaint by today’s standards. But it enabled him to wear the finest clothes, drive the fastest cars and even own a racehorse. Charlie Chaplin became a personal friend and a godparent to Ted’s son. The money was all gone before Lewis stopped fighting, but still he fought and still he loved his profession. Born Gershon Mendeloff, Ted’s first unofficial opponent was his strict father. Old man Mendeloff didn’t care for his son fighting, but young Ted knew his destiny and carried on scrapping behind his father’s back. Frail of physique as a youngster, The Kid did his roadwork in London’s Victoria Park, where he also rowed for hours to build up the strength in his arms, chest and legs. On one occasion he fell out of his boat and straight into a blind panic, fearful that he was drowning. He later admitted, with a sheepish smile, that he was in two feet of water when he finally scrambled to his feet! The dedication to his fitness quickly reaped its rewards as his slender body developed its strength and muscle definition. As a young featherweight, he began to make his name with a string of impressive victories, fighting most of his preliminary battles at the Judaeans Athletic Club. Ted dropped a six rounds decision to Johnny Sharp in his pro debut in 1909, but the effect of that harsh christening couldn’t have been more positive. By 1912, incredibly, Lewis had logged 93 contests and lost just four. And he was still only considered a domestic prospect! Then the roof appeared to fall in on the eager youngster when he was matched with a man he had already beaten in Duke Lynch. A terrific right by the Duke laid The Kid out in the opening round and prompted the usual cynical murmurs. Lewis didn’t have the necessary tools, argued some critics. And he certainly couldn’t take a punch. How The Kid ridiculed those two notions in the glorious years ahead. Never one to indulge in self-pity or lengthy naval gazing, Lewis steamed back into contention with another batch of wins before meeting the skilful Alec Lambert for the vacant British and European featherweight titles at the National Sporting Club. The jury was still out on Ted and many saw the match as being a step too far for the young juggernaut. Anxious to win the prized Lonsdale Belt to impress his doubting father, The Kid took to the ring with fire in his soul and a determination to win that would power him through the rest of his glittering career. He set a ferocious pace which Lambert was never able to adjust to, mounting waves of two-fisted hooking attacks. As hard as the cagey Lambert tried to fend off the charging assaults, Lewis kept finding a way inside to batter his man’s ribs. Lambert’s face told the tale of his punishment, his face seeming to slowly drain of blood as the hard blows rained home. He could do nothing to turn the tide or even stem the flood. As his strength and endurance began to leak away, so The Kid’s resources seemed to double as he upped his already brutal tempo and kept firing away. Lambert’s fortitude was outstanding in the face of such a violent storm, but he was trading on nothing but his courage when Lewis ended the fight in the seventeenth round. Ted Kid Lewis arrived in earnest that night and seemed to linger forever as he surged through the weight divisions in the following years to carve his legend. His appetite for bigger and heavier opponents was no less voracious, but it was as a welterweight that he sealed his place in the history books. The glib and the lazy among biographers always refer to Lewis as the guy who had all those fights with Jack Britton. Similarly, they pigeon-hole Jack as the fellow who made a career out of fighting Ted Kid Lewis. Well, that is a very easy way to shrink two magnificent careers into a convenient pint pot. Yes, Ted and Jack fought those twenty fights and swapped the welterweight crown with each other like a couple of kids trading the same baseball cards. But this was a battle of supremacy between two of the genuine titans of boxing, one an exceptional wrecking ball of a man and the other a boxing genius whose sublime skills carried him through 347 fights. Jack had the official edge on Ted when the final count was in, but we simply don’t know the full details of all their stirring tussles. Look up the records of these two ring marvels and study the other famous names sprinkled through them. Both crossed swords with Mike Glover, Willie Ritchie, the legendary Benny Leonard, the great middleweight champion Mike O’Dowd and that perennial tough nut of the era, Soldier Bartfield. In the twilight of his career, Lewis even had a go at light-heavyweight great Maxie Rosenbloom. Britton tested his mettle against Philadelphia Pal Moore, Leach Cross, Packey McFarland and Charley White. 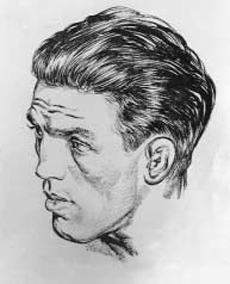 It is rarely mentioned that Jack was a jaded thirty-seven year old when he finally lost his welterweight crown to Mickey Walker. The modern fan poring over all those title fights between Lewis and Britton might easily misconstrue their rivalry as being something of an old pals act. Nothing could be further from the truth. The competition between the two men burned with intensity through its six-year duration and began in August 1915 when Ted dethroned Jack on a 12-rounds decision at the Boston Armory. For those who labour under the sweet delusion that the fighters of the past were too gentlemanly to trade insults or ignore the traditional pre-fight customs, let it be said that Mr Lewis and Mr Britton didn’t behave like boy scouts prior to their Boston donnybrook. The two fighters exchanged threats, refused to shake hands and tried their best to take each other’s heads off in the battle proper. They would need a further nineteen arguments before they got the bad blood out of their system. Most of the rematches were no-decision affairs, but it is probably safe to assume that they were never dull. Jack finally put the lid on the long-running feud with a unanimous decision over The Kid at Madison Square Garden in February 1921. When Ted Kid Lewis returned home to England from his unforgettable campaign in America, the general consensus was that he was near the end of his career as a top flight fighter. It was typical of the tenacious and contrary East End slasher that he found a few more exciting chapters to write. In 1921, he won the vacant British middleweight title from Jack Bloomfield on a 20-rounds decision. A year later, he had the effrontery to step all the way up to heavyweight and blast out big Tom Gummer in one round at Brighton. Then came the astonishing fight with Georges Carpentier in 1922, when Lewis challenged for the Frenchman’s world light-heavyweight championship. Carpentier, a brilliant talent, had also started young and moved up through the weight divisions with outstanding success. Just a year earlier, he had jolted the great Jack Dempsey before being overwhelmed in his audacious challenge for the richest prize in sport. Against Lewis, the stunned Carpentier ran into a firestorm. Taller, heavier and with an advantage in reach, the French ace was too shocked to utilise his advantages as The Kid attacked him ferociously in the opening round. Nobody could have guessed the shocking outcome as Lewis swerved, feinted and repeatedly ducked under Carpentier’s educated left hand to connect with a succession of hurtful rib punches. Losing his composure, Georges became uncharacteristically ragged in his work as fired back wildly in his frantic effort to calm the stormy waters. Seeking shelter from the hail of The Kid’s blows, he began to clutch at Lewis and look for some respite in the clinches. Ted couldn’t believe it when referee Joe Palmer broke the action to warn both men for holding. Palmer was touching The Kid’s arm as he issued the admonishment, and Lewis turned to him to protest bitterly that he had been too busy punching to hold. Carpentier saw his chance and almost took flight as he cracked Lewis flush with a terrific right. The Kid went out like a light as the crowd erupted in its indignation. The protests were to no avail as Carpentier was declared the winner by knockout. “I felt cheated but I didn’t bear any grudge,” Lewis would later say. The Kid certainly did that. And then some!